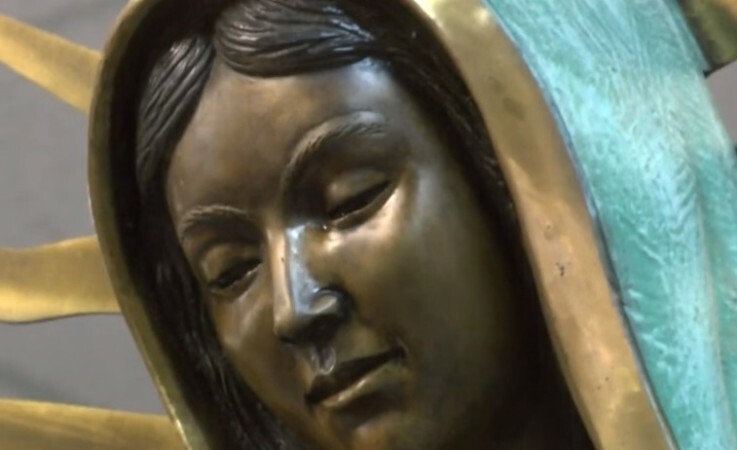 In 2016, Virgin Mary's statue in Mexico was spotted with tears of red blood in color and now an image from Guadalupe Catholic Church in Hobbs, New Mexico in US shows the some plain tears. Elevating the fear of an imminent apocalypse among conspiracy theorists, pictures of a weeping Virgin Mary statue is now widely shared all across the online spaces. The image which is now going viral is apparently taken from Guadalupe Catholic Church in Hobbs, New Mexico, US, last week. The churchgoers even claim that the tears of Virgin Mary smelt like flowers. As the post went viral on online space, a writer on the website catholic.org claimed that the tears of Virgin Mary indicate her prayers for the conversion of hearts. "We must do all we can to ensure our own hearts are ready for we know not the hour when the Master will return," added the writer. According to the Christian belief, the second return of the Christ is a signal that apocalypse is imminent. In 2016, a similar incident happened in Mexico when Virgin Mary's statue was spotted with tears of red blood color. A couple of months ago, blood was spotted leaking from the Stone of Anointing in Jerusalem. People believe the Stone of Anointing in Jerusalem is the tomb of Jesus and this was the place in which his holy body was prepared for burial. Extreme religious believers argue that these repeated incidents are sending out strong signals of Christ's imminent arrival, and many of them believe that the world will be hit by a series of catastrophic incidents in the near future. However, skeptics are not convinced about the authenticity of these so-called weeping images. They claim that most of these images would later turn out to be hoaxes. As the video went viral on social media, viewers also shared their ideas about this weird phenomenon. "Oh.. Mother Pray for us, teach us Mother to pray more the world is in trouble. Bring us close to your son Jesus Amen. Thank you, Mother, you're always with us and watching over us we love you, Mother," commented Yu Ling Yong, a YouTube user. The Catholic Church has now launched a probe to investigate the authenticity of the footage.